Transform into Tiana, star of Disney's The Princess and the Frog! 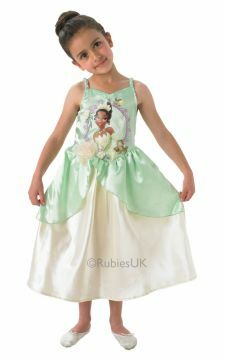 This is Tiana's iconic lily pad dress, just one of the stunning outfits she wears. when she is not a frog! Be sure to spare a kiss for Prince Naveem to lift his voodoo spell!